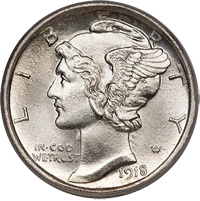 Coin was minted between 1916 and 1945, these coins are 90% silver so the melt value* for a Mercury Dime is currently $1.08, but the coins may be worth more to a collector. The 1916 D's are worth between $300 to $400 as they were minted in limited quantity. The Winged Liberty Head dime is most commonly referred to as a mercury dime. Most people assume the coin contains an image of mercury the greek messenger and god of trade. The figure is in fact lady liberty with winds on her head. The wings represent freedom of the mind or freedom of thought depending on what story you read. Irregardless of what it's called the coin has become a huge favorite in the coin collecting community. Due to the age and coin lifespan these coins are usually very well worn down, and one in good condition can fetch double or triple the price easy. 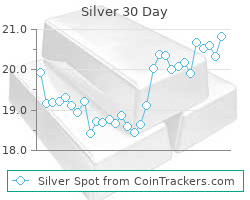 Current silver melt value* for a Mercury Dime is $1.08 and this price is based off the current silver spot price of $14.98 This value is dynamic so bookmark it and comeback for an up to the minute silver melt value. * Notice as of December 2006 it is illegal to melt down US Minted Pennies and Nickels, and there is a $10,000 fine to help enforce the law. It is legal however to melt down silver dollars, half dollars, dimes, quarters for their content. Who is on the Dime?